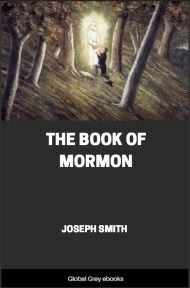 A short book on the history and philosophy of the Mormon religion, which is comprised of a revised and reconstructed version of lectures delivered by Dr. James E. Talmage at the University of Michigan, Cornell University, and others. In the minds of many, perhaps of the majority of people, the scene of the "Mormon" drama is laid almost entirely in Utah; indeed, the terms "Mormon question" and "Utah question" have been often used interchangeably. True it is, that the development of "Mormonism" is closely associated with the history of the long-time Territory and present State of Utah; but the origin of the system must be sought in regions far distant from the present gathering-place of the Latter-day Saints, and at a period antedating the acquisition of Utah as a part of our national domain. The term "origin" is here used in its commonest application--that of the first stages apparent to ordinary observation--the visible birth of the system. 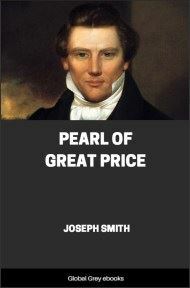 But a long, long period of preparation had led to this physical coming forth of the "Mormon" religion, a period marked by a multitude of historical events, some of them preceding by centuries the earthly beginning of this modern system of prophetic trust. 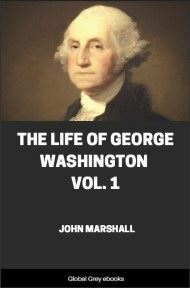 The "Mormon" people regard the establishment of their Church as the culmination of a great series of notable events. To them it is the result of causes unnumbered that have operated through ages of human history, and they see in it the cause of many developments yet to appear. This to them establishes an intimate relationship between the events of their own history and the prophecies of ancient times. 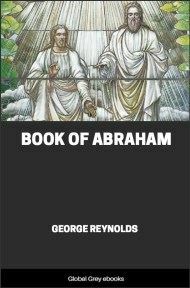 In reading the earliest pages of "Mormon" history, we are introduced to a man whose name will ever be prominent in the story of the Church--the founder of the organization by common usage of the term, the head of the system as an earthly establishment--one who is accepted by the Church as an ambassador specially commissioned of God to be the first revelator of the latter-day dispensation. This man is Joseph Smith, commonly known as the "Mormon" prophet. Rarely indeed does history present an organization, religious, social, or political, in which an individual holds as conspicuous and in all ways as important a place as does this man in the development of "Mormonism." 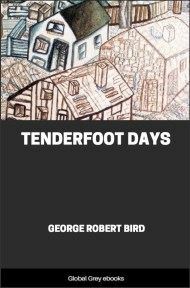 The earnest investigator, the sincere truth-seeker, can ignore neither the man nor his work; for the Church under consideration has risen from the testimony solemnly set forth and the startling declarations made by this person, who, at the time of his earliest announcements, was a farmer's boy in the first half of his teens. If his claims to ordination under the hands of divinely commissioned messengers be fallacious, forming as they form the foundation of the Church organization, the superstructure cannot stand; if, on the other hand, such declarations be true, there is little cause to wonder at the phenomenally rapid rise and the surprising stability of the edifice so begun. In common with so many others, the earnest youth found here within the scriptures, admonition and counsel as directly applicable to his case and circumstances as if the lines had been addressed to him by name. A brief period of hesitation, in which he shrank from the thought that a mortal like himself, weak, youthful, and unlearned, should approach the Creator with a personal request, was followed by a humble and contrite resolution to act upon the counsel of the ancient apostle. The result, to which he bore solemn record (testifying at first with the simplicity and enthusiasm of youth, afterward confirming the declaration with manhood's increasing powers, and at last voluntarily sealing the testimony with his life's blood,) proved most startling to the sectarian world--a world in which according to popular belief no new revelation of truth was possible. It is a surprising fact that while growth, progress, advancement, development of known truths and the acquisition of new ones, characterize every living science, the sectarian world has declared that nothing new must be expected as direct revelation from God.